We produce standard cabins for cranes. Offered models of cabins will be adapted for basic functions of the lifts and will suit the needs of our customers and endusers. The walls and doors of the cabins are made of steel segments, stainless plate or powder painted. The floor is covered with antislipping lining. 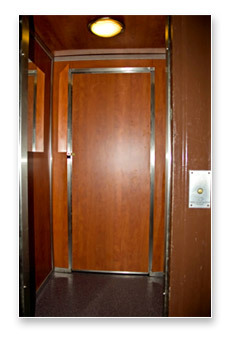 The cabins are equipped with automatic doors which drive soft and steedy.